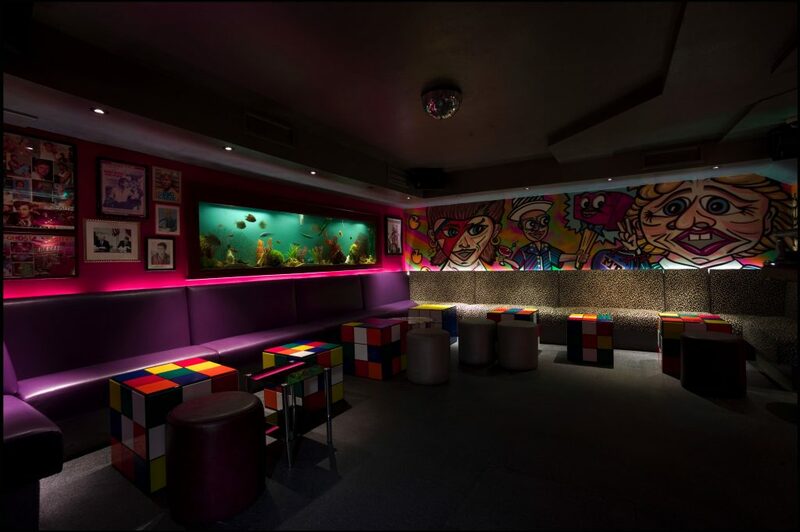 What do you get when you combine the most quintessential 80’s music, fishbowl drinks the size of yours (or Margaret Thatcher’s) head, roller skating dancers, and giant tables that look like Rubik’s cubes? 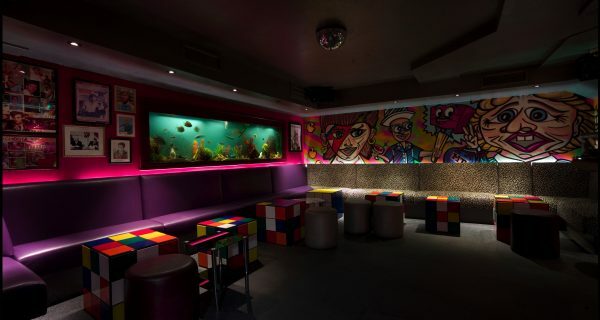 The most vivacious and unique club in all of London, of course! Tucked away on Fulham Road, I never suspected the sheer mania that was nestled below street level as I approached this Chelsea hideaway. With the promise of great music, dancing, and delicious cocktails, I was open to anything when I agreed to spend an evening at Maggie’s – and I got so much more than I expected. 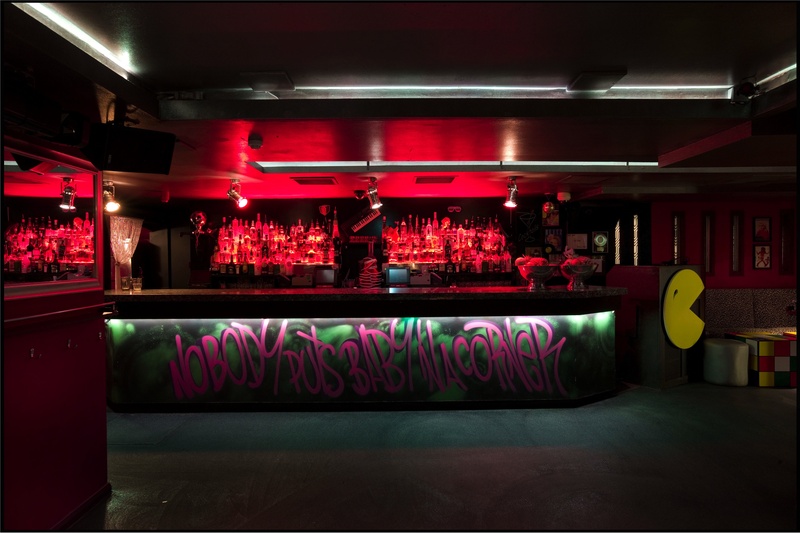 Upon entering the club, we were greeted with the sounds of Wham and the Pet Shop Boys blasting and bright, neon murals splashed across the walls with portraits of 80’s artists including Madonna and Boy George. Hot pink and black plush zebra benches lined the walls (not like you could spend much time sitting because the music was just too good not to dance). After making our way to our private table, we were delivered a replica of Margaret Thatcher’s head filled with a mouth-watering blend of Ciroc vodka ,Tanqueray gin, fresh kiwi, agave and soda. If you haven’t pieced it together by now, Maggie’s is an 80’s themed tribute to the former Prime Minister. And just in case you need to be more convinced, just visit the loo and listen to Thatcher’s infamous speeches played on loop. Bizarre? Maybe. Amazing? Definitely. After polishing off Maggie’s Mug, we spent some time dancing until an enormous martini glass filled with a pink concoction and about 8 straws arrived at our table. Never one to turn down a drink, we sipped on this magical potion while watching club dancers in booty shorts glide around on their skates until we decided to join in on the fun. One of the most refreshing things about Maggie’s is how friendly the staff are. 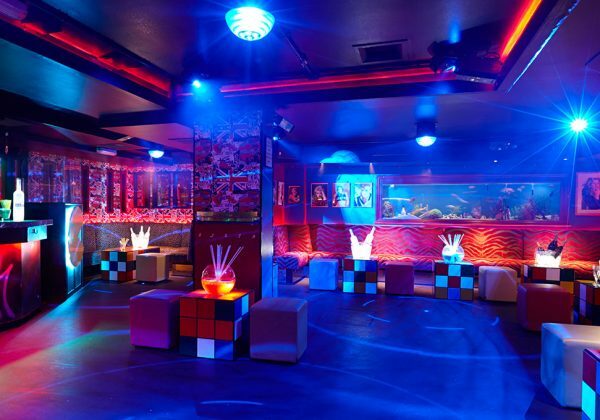 There was no pretentious vibe that you might find in a themed club, especially one that is far from a dive! 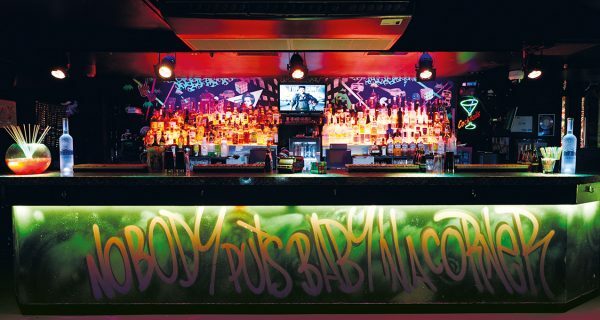 If you’re a fan of 80’s music, whimsical cocktails, and a down-to-earth, friendly vibe, then Maggie’s is for you.